Here’s some exciting news! Tired of the same old 50s Mojo? We will soon be releasing two new full-range pickups designed for modeling: the NeoM SC (single-coil) and NeoM HB (humbucker). What is modeling? If you’ve seen the demo of the Neo multichannel pickups, we were able to easily sculpt the tone using EQ matching to capture the frequency response of another pickup or even an acoustic guitar. There’s so much flexibility and power there! A full bandwidth pickup will give you complete freedom to shape the frequency response —it’s the perfect blank canvas. 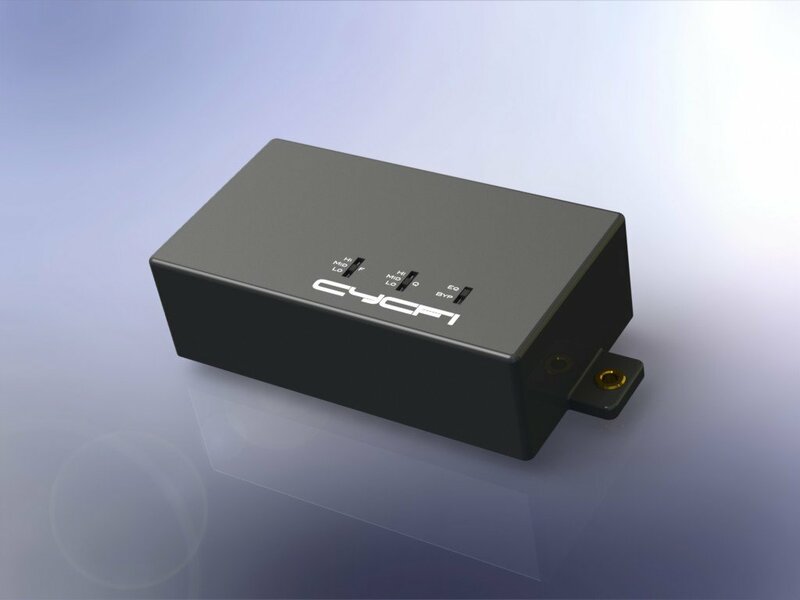 The NeoM Modeling pickups have the same flat frequency response as their siblings, the Neo Series Active Multichannel pickups. These are active pickups utilising very low impedance (Lo-Z) coils with an ultra low-noise preamplifier to boost the lower level Lo-Z signal. Thanks to modern SMT electronics, the NeoM pickups also feature a built-in resonant filter right there in the pickup, allowing you to sculpt the tone from twangy 50s Mojo to crystal clear HiFi, without requiring external tone controls or equalisers. Unlike the original Neo series, these pickups are meant to be installed just like any other active pickup. We will provide an easy install (no soldering) system. All components are premium grade. No cutting corners! A double-coil humbucking variant will also be available. Both versions incorporate the same Lo-Z technology from its predecessor, the Multichannel Neo Series. Both boast extremely low noise preamplifiers. 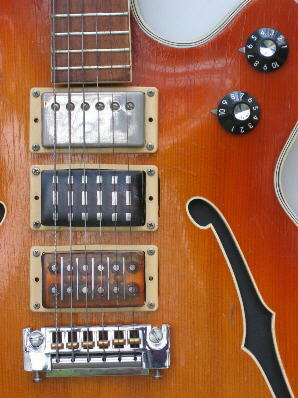 Like the single-coil variant, the humbucker also contains a built-in resonant filter. Both versions are noiseless. Technically speaking, a pickup is an audio voltage source followed by a second-order lowpass filter. The tone (colour) of the pickup is characterised by its cut-off frequency and its resonance contour —the so-called Quality factor or simply Q. The NeoM has a couple of switches for setting the cutoff-frequency and Q plus an additional bypass switch (if you need to get the full, flat frequency range). The switches are slightly recessed to avoid accidental switching. The controls give you 9 of preselected voices (3 x 3), plus bypass to full-range, for a total of 10 voices per pickup! The F switch controls the cutoff-frequency. Lo is preset to 2kHz, Mid to 3kHz and Hi to 6KHz. These are the frequencies that give you the classic tones of electric guitars that we all can’t ever get enough of. We’ve done a lot of frequency analysis with many hours of listening tests before we arrived at these sweet frequencies. Q controls the resonance of the filter and determines the steepness of the curve. There are three Q presets Lo, Mid and Hi. The higher the Q, the narrower and sharper the peak is. A narrow peak gives a more pronounced filter effect at the cutoff-frequency. A gentler slope gives you a mellower, rounded tone. 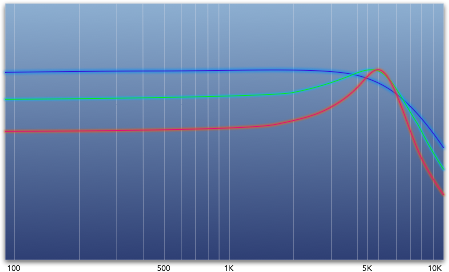 As you can see in the graph above, a higher Q produces higher gain. 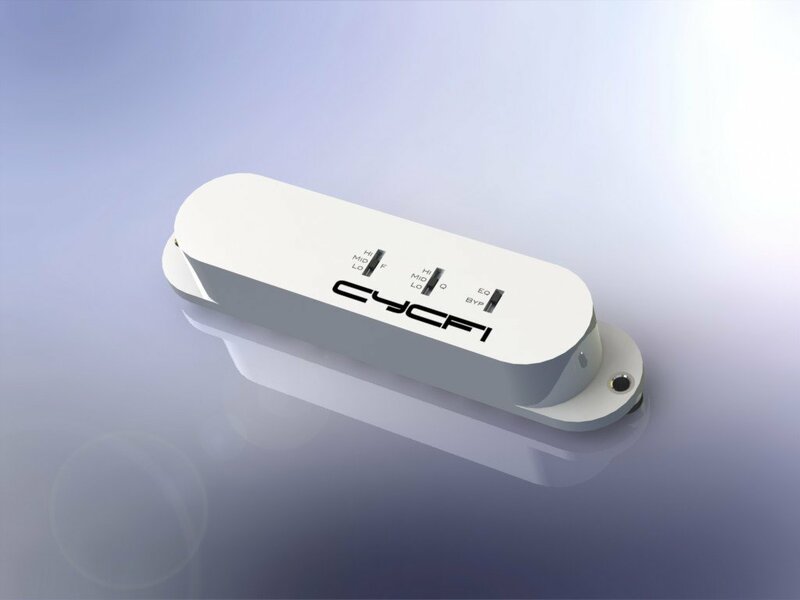 The Q switch compensates for the gain at each setting (1.0 [0dB], 2.5 [8dB] and 3.75 [12dB]) with a corresponding gain reduction before the filter so we have constant gain for all Q settings. This prevents the filter from clipping and produces an overall balanced output regardless of switch position. Are the NeoM essentially the same deal as the Neos but in a “simper to install/setup” form? If not, can you give me the key differences? I’m not much of a hacker. Yes, it’s in a “simper to install/setup” form. It’s pretty much as easy to install as the EMG actives. No solder, no fuss. 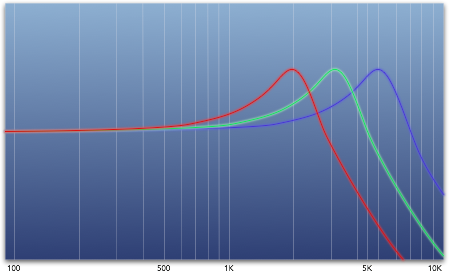 It does not have individual outputs though, but you get the same full frequency response as the other Neos. The drawback of SUSTAINIAC is that it has no separate amps for every strings. Now I can use the right terminology. The advanced Neo6 version with mono mix output was the idea I tried to describe with “combined Multichannel and Modelling pickup”. If you plan to use LEMO connectors from guitar to breakout box, It would still be nice to have the Roland 13 Pin jack on the breakout box for easy interface with effect boards. Do I get it right from “Some musings on multi-channel ADC choices” that you are thinking about some digital out interface? Multichannel USB with Polyphonic and mono mix channels would be fantastic! may I provide few suggestion for you exciting pickups to make the ultimative one combining Multichannel and Modelling options in one pickup? Yes, this has been asked a few times before. I’ll keep your suggestion in mind. We can probably have these as options. The NeoM however, will strictly be mono and intended for simple pickup replacement for standard guitars. It is of course possible to have your suggestion for Neo6. YES! This is exactly what I’ve been waiting for since I started pondering about active pickups and state variable filters and so on! I’m really looking forward to this! Hi Andrea, Thanks for your comment and suggestions. Yes, I decided to separate the EQ from the pickups. For now, I decided to go fully analog and have two pots for freq and Q. However, I do in fact have another design that actually can be programmed with stored settings via switches. Perhaps we can offer these as options with the most basic option being the straightforward passive tone control (even that very modest tone control can do wonders with a full frequency pickup as we’ve found out recently). I’ll have an update as soon as possible. Yes, the easiest and cheapest way is to just have two pots (as Lemme’s SVF circuit) and these already allow for the full set of sounds to be obtained, but tweakability and usability don’t always go together… I fear that two analog pots would make it hard to “recall” sounds on the spot. By the way, what are the plans regarding the power supply? Any chance of rechargeable lithium ion as in the Fishman fluence line? Lastly, if I may, I think you should consider dropping the word “modeling” from the pickup name. People may wrongly assume that there’s digital processing involved and shun them because of the (for now) underwhelming results of guitar modeling. I’d really like to keep this as simple as possible initially. 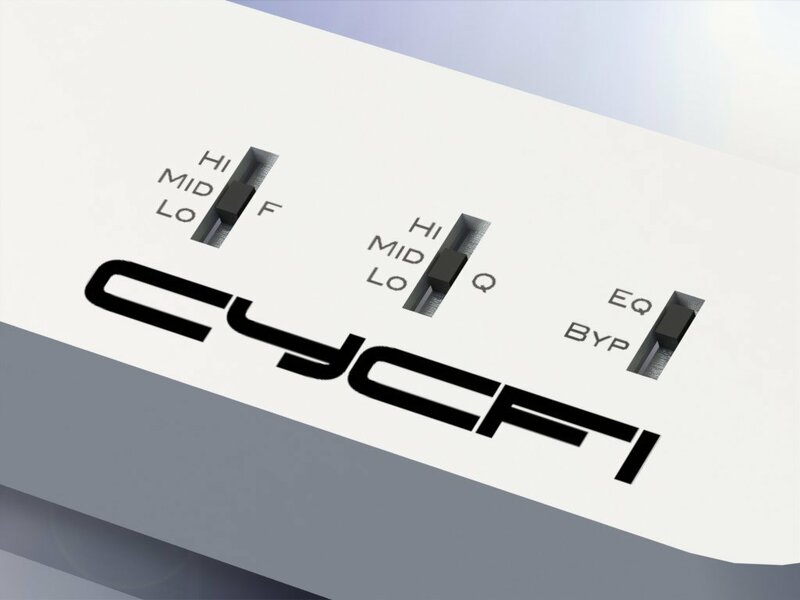 My real focus is on the Neo Multichannel pickups: http://www.cycfi.com/2014/02/neo-series-active-polyphonic-pickups/ , and the multichannel sustainer: http://www.cycfi.com/2014/06/the-infinity-project/. Yet, people keep on asking if I could produce an easy to install mono version of the Neo. “Easy” as-in, as simple as installing any other active pickup. What they really want is the flat frequency response and the flexibility to shape the sound by any means (analog or digital). I do have designs for a programmable version, yes including MIDI! But I’d like to have that as a latter option. Hey, I always love rechargeable lithium ion. It’s always been a factor in my designs. I can also provide that as an option, yes! I’ll think about dropping the “Modeling”. Would you suggest a better term? I understand it can be quite underwhelming if people are more interested in a mono version of the Neo Multichannel, but speaking of myself, I wouldn’t quite know how to use a multichannel output, especially in a live situation, as it would need a considerably advanced setup (compared to a traditional guitar – pedals – amp set). then yes, count me in! Yes, one wouldn’t be able to create truly innovative sounds with them, but I think there is still a big potential market for a more convenient and less antiquated way of amplifying solid body guitars. – resonant EQ pot control (Freq and Q). Modelling is trying to copy a tone. Perhaps “tone shaping pickup” is a better term since you are actually trying to get the tone that you like which may or may not be similar in tone to an existing pickup. Whoops, didn’t mean to copy your suggestion! I see we ended up with the same idea for a new name!